Polar (film, 2019). A 2019 neo-noir action film by Netflix. Directed by Jonas Åkerlund. Official Trailer. 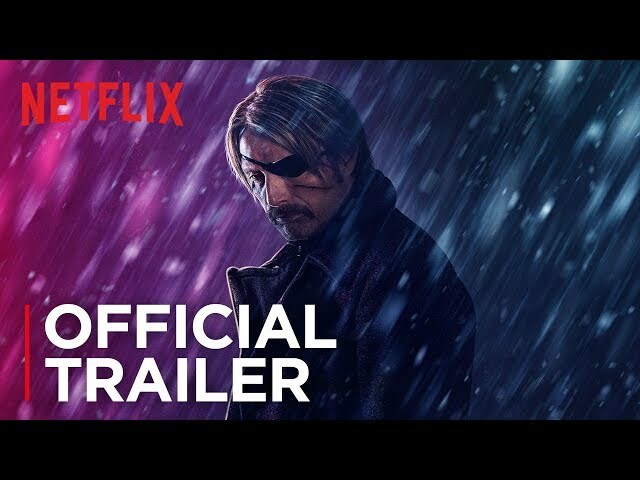 Polar is a 2019 neo-noir action film directed by Jonas Åkerlund. 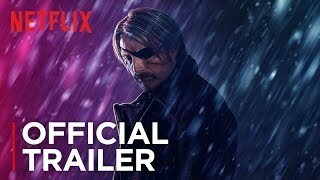 Polar | Official Trailer | Netflix. Recently retired assassin Michael Green is killed at his home in Chile by a team of his former comrades from the Damocles corporation, a private security firm. Duncan Vizla, aka "the Black Kaiser", another Damocles assassin, is preparing for his mandatory retirement at age 50 by checking in with his physician and financial adviser. Duncan is set for life. He has multiple properties spread across 4 states, has invested his salary wisely, and is comfortably able to contribute $200,000 per year to a charitable trust. He has made the maximum pension fund contributions over his career, with matching from Damocles. On his 50th birthday, in 14 days, he will be entitled to an immediate pay out of half the fund, amounting to $8 million. He is contacted by his handler, Vivian, who says Mr. Blut, the owner of the Damocles corporation, wants him to travel to Belarus to kill a hitman allegedly responsible for the murder of Michael Green and 3 other Damocles assassins before settling into retirement. Duncan declines. Duncan disappears to the small town of Triple Oak, Montana, where he intends to settle into a quiet retirement at a lakeside cabin. He gathers the trappings of normalcy, getting a dog and doing favors for the neighbor, but Duncan is bored and haunted by recurring nightmares from his time as one of the world's premier killers-for-hire - in particular, a botched hit in which he ambushed a car carrying a family, when only the mark was supposed to be present. It is revealed that Mr. Blut intends to sell Damocles and, as a way to inflate the company's worth before the sale, is killing off employees approaching retirement to avoid paying out their pension funds and retain the money. Additionally, all Damocles employees have a contract clause stipulating that, should they die at any time without a will and named beneficiary, Damocles Co. is their legal heir and assumes all of their assets. Vivian again reaches out to Duncan, doubling the price for the (fake) revenge assassination in Belarus. Duncan travels to Minsk and completes the job despite it being a trap to kill him before his birthday. Vivian advises Mr. Blut pay Duncan in full and then allow Duncan to retire peacefully. Blut instead sends out the same hit squad that killed Green, who begin searching for Duncan at his numerous properties. The film Polar was scheduled to be released by Netflix on January 25, 2019. The duration of the film is 119 minutes. Polar got low rating from critics. But the audience likes the film.